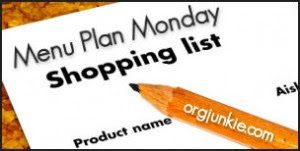 My Outside Voice: Meal Plan Monday! Weekend Recap! Meal Plan Monday! Weekend Recap! Hope everyone had a wonderful weekend. For the first time in almost three months, we were out and about Friday, Saturday and Sunday. I was in pain throughout most of it, but it was so good to get out and about and socialize. Friday we had a wine event for the wine club. It was an Event of Olympic Proportions - Winter Edition. Everyone picked an athlete and then brought a bottle of wine and a dish to go with it from the athletes region. There was some wonderful food, fabulous wines and a ton of fun. We had the event at our member C's community room which was gorgeous. Three floors, two bars, a full kitchen, our own bathrooms, and a beautiful view of the downtown skyline. Some of the nummy food items! LOVE the flags representing the different countries! Saturday we attended friends L & J's wedding reception at Forepaugh's in St. Paul. It was a beautiful setting and the food was amazing, we all had a really good time! Both the boy and I said, that was a wonderful way to celebrate both of them. 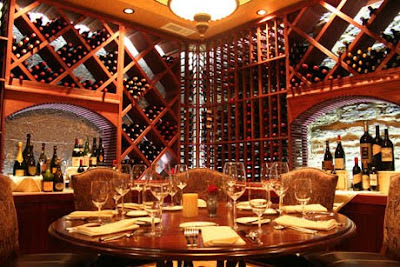 This is the table in the wine cellar~heaven in my book! With the brides parents, love how L is looking at dad! Sunday we volunteered in the reserve area for The Minnesota Monthly Food and Wine Show. It was SO much fun and we had such a good time. There were plenty of volunteers so we were able to float and check out different wines and food booths. I also made a TON of contacts for the wine club that are going to come in really handy! LOVED this floral arrangement, I am sure I will be trying something like this soon! Local celebrity chef, Sameh Wadi, he appeared on the Iron Chef a couple of weeks ago. I actually got to talk to him about his experience yesterday, it was SO much fun! SUPER nice guy too! One of my favorite wines of the day was Roberts + Rogers 2005 Cab. which was wonderful! This week is a tad bit busier, and here is what is on the menu! Dinner - out, not sure where yet, we sampled some food from a couple of new restaurants near the movie theater yesterday, so we may check one of those out. For more menu's check out the orgjunkie! Few things HAVE to get done this week. I need to decide once and for all what I want to do for my birthday at the end of March and get invitations out. I have been going back and forth, do I want to have a big blow out, if so, where should I have it? If so, should I do a theme party? If a theme, what kind of a theme? The roaring 20's? A sock hop? 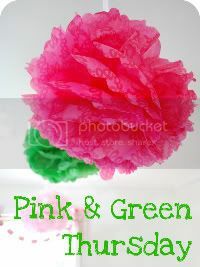 A Lilly themed? Can you believe it is almost here and I just can't decide? If not a big party, what do I want to do? A sit down dinner? Dinner out? UGH! Have you attended a birthday party and gotten any good ideas??? I am hoping to go back to work next week, so I need to get some projects done here at home. Better get back to the ta-da list. A 20's party sounds fab! Can you do it out somewhere?